March Savings: $1,000 OFF Custom iLASIK* when you schedule your procedure before 4/30/19. *Cannot be combined with an other offers or discounts. Savings based on both eyes. 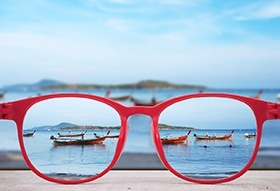 Experience life the way it was meant to be, with the clearest vision. Don't miss another great moment! The most common reason that a person gets LASIK eye surgery is because they have refractive errors. 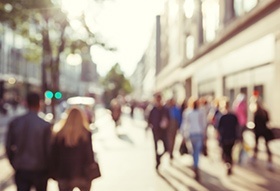 But what does it really mean when we're told that our vision is blurry because we have a refractive error? We see the world around us by the way our eyes bend (refract) light. Refractive errors are visual imperfections that prevent the eye from properly focusing light, causing blurred vision. Refractive errors usually can be "corrected" with eyeglasses or contact lenses, or they can be permanently treated with refractive surgery. Myopia is when light from a distance object comes to focus in front of the retina and as a result objects at a distance are blurred while while close objects are clear. Hyperopia is when light from a distant object comes to a focus behind the retina and as a result objects that are near might be blurred and objects at a distance are clear. Astigmatism is a refractive error when light rays entering the eye don’t focus on a single point, but two points, leading to blurred vision at distance and near. 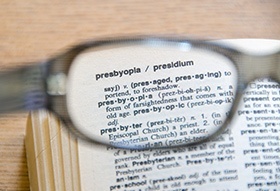 Presbyopia is a condition that affects the lens inside the eye. As we age, the lens gradually loses its flexibility which makes it difficult to see close objects like books, smart phones or computers This is a normal part of the aging process which is why people need reading glasses as they age. 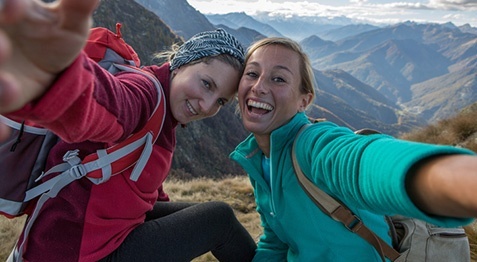 This typically affects people over the age of 40. How do you know if you are a candidate for LASIK or other Refractive Eye Surgeries? The best way to know if you are a candidate for LASIK or other refractive surgeries, is to schedule a consultation with a LASIK eye surgeon. To get some preliminary information on if you could be a candidate for LASIK eye surgery, take our quiz! In addition to LASIK, what are the different types of Refractive Eye Surgeries? Did you know that there are other refractive surgery options besides LASIK to correct your vision? Refractive eye surgery refers to any eye surgery used to improve correct the refractive error of the eye and decrease or eliminate dependency on glasses and contact lenses. At Horizon Eye Specialists, we employ several modern approaches to corrective eye surgery ranging from laser reshaping of the eye's surface (i.e. Bladeless LASIK or PRK) to surgical insertion of artificial lenses or implants (i.e. ICL, RLE, or KAMRA Inlay). (also known as “Bladeless LASIK”). LASIK uses laser technology to eliminate refractive error by reshaping the surface of the eye (the cornea) on a minor microscopic level. PRK is different from iLASIK in only one aspect - there is no flap created. PRK uses the exact same laser that iLASIK uses to correct refractive errors. Instead of creating a flap, the laser is applied. Both iLASIK and PRK use CustomVue Technology. Prior to surgery, a laser mapping will be done on each eye. This mapping not only analyzes the amount of nearsightedness, farsightedness and astigmatism. (Implantable Collamer Lens or Implantable Contact Lens) is an alternative to LASIK and PRK for correcting moderate to severe nearsightedness. Unlike traditional contact lenses. KAMRA is an eye procedure that improves near and intermediate vision. The KAMRA inlay sits in the first few layers of the eye known as the cornea. Smaller and thinner than a contact lens, the inlay is a mini-ring with an opening in the center. By using the pinhole effect, the inlay focuses light coming into your eye. This improves near and intermediate vision without interfering with distance vision. RLE Refractive Lens Exchange is a surgical procedure that uses the same technique as modern cataract surgery. Just like cataract surgery, RLE involves removing the natural lens in the eye and replacing it with a tiny permanent prescription Intraocular Lens (IOL) resulting in improved vision and reduced dependency on glasses or contact lenses. This is different than most other refractive surgeries, like LASIK, that involve reshaping the cornea. RLE can correct nearsightedness, farsightedness, astigmatism and presbyopia, depending on a patient’s needs and the style of IOL selected. The beauty of RLE is there is no such thing as a prescription being too high to correct since the IOLs can come in virtually any power. And with new multifocal IOLs like the Tecnis Symfony lens, Refractive Lens Exchange can correct distance, intermediate and near vision at the same time. Oftentimes, patients who’ve had previous refractive surgery think they can’t have additional surgery to improve their vision. This is simply not true. 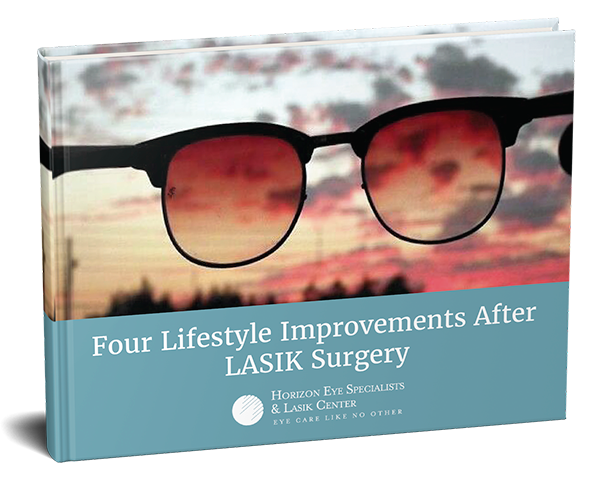 Whether you’ve had RK (Radial Keratotomy) years ago or perhaps LASIK or PRK more recently, does not prevent you from having additional surgery to improve your vision if it has changed. In fact, you may be eligible for more LASIK or PRK, KAMRA Inlay or Refractive Lens Exchange depending on your needs. 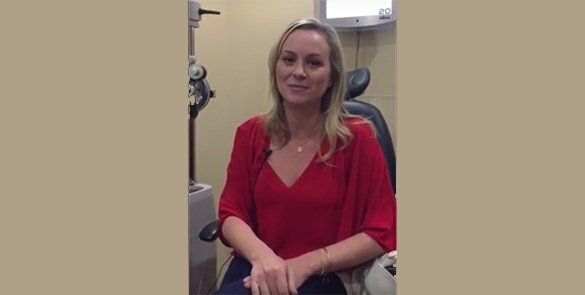 What to expect during your LASIK evaluation? 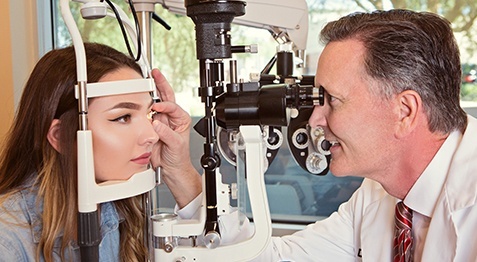 Here at Horizon Eye Specialists we know that coming in for a LASIK evaluation is an important step in making the decision to have LASIK surgery. We offer a personalized complimentary LASIK evaluation to ensure that you understand what your vision correcting options are. When you arrive at our state of the art facility you will be greeted by one of our friendly patient services staff who will introduce you to your surgery counselor to begin your LASIK consultation. One of our knowledgeable technicians will conduct a series of customized tests and measurements. 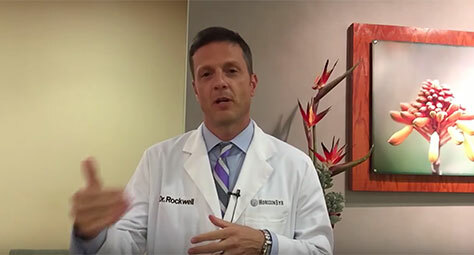 You will then meet with Dr. McCulloch or one of our specially trained Doctors to go over your results and answer any questions that you may have. Lastly you will meet with your surgery counselor who will review the procedure, discuss surgery dates, cost, and financing options. 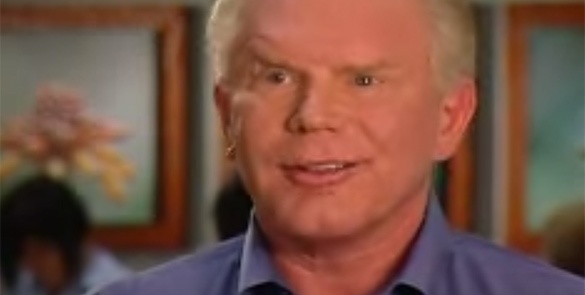 Meet with a LASIK coordinator to begin the consultation. 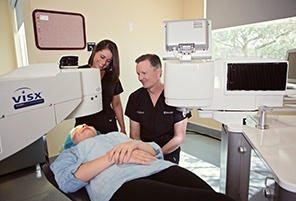 A LASIK technician will run a few computerized tests using WaveFront CustomVue technology to obtain measurements that are 25 times more accurate than common methods used for contacts or glasses. Meet with a LASIK doctor to discuss options for LASIK eye surgery and to answer all of your questions. Meet with a LASIK coordinator again to discuss potential surgery dates, costs, financing options, and to answer any final questions you may have.